Ridley Scott has said that the Alien franchise’s titular xenomorphs are too worn-out and overused to appear in his planned sequel to Prometheus. “The beast is done. Cooked,” Scott said, talking to Yahoo! Movies about whether H.R. Giger’s famous creations still had the cinematic verve to appear in his sequel to a quasi-prequel to a movie he made more than 30 years ago. “There’s only so much snarling you can do. I think you’ve got to come back with something more interesting. And I think we’ve found the next step. I thought the Engineers were quite a good start.” Scott is, of course, referring to the true villains of Prometheus, a species of giant naked Smurfs whose iconic design captured, terrified, and delighted the public consciousness in 2012, which is why you’ve been constantly seeing them on lunchboxes and action figures ever since. 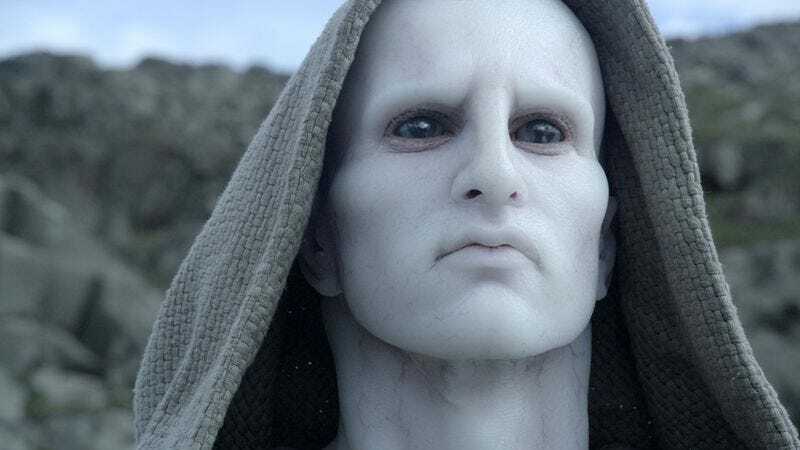 Prometheus 2 is only one of Scott’s many projects at present, including the Matt Damon-starring The Martian and upcoming biblical epic Exodus: Gods And Kings (which presumably won’t feature any appearances by God, since the character has clearly run his course in the public mind). And, speaking of ancient monsters cruelly worked past their prime, Scott’s also apparently still talking to Harrison Ford about making Blade Runner 2.